The Winter Solstice was the most important spiritual time of the year in antiquity. The ancients went to the greatest expense to ascertaining the time of its occurrence as witnessed by the Great Pyramids of Ancient Egypt, Mexico, Stonehenge, etc. It is the time of year--December 21-24--when man's spirit is most receptive to receiving directions from the will to manifest changes in behavior and the accomplishments of new goals in life. Unlike people today who focus on the things they want in life, the ancient Egyptians focused on strengthening their divine nature which is the chief faculty that is in charge on man's behavior and life accomplishments, therefore optimizing their ability to heal, and to succeed in all endeavors. 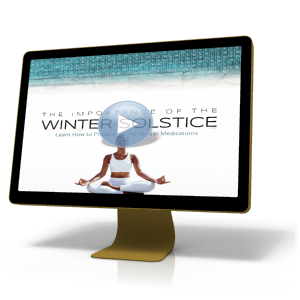 This class will include meditations and yoga instruction for the Advanced student in preparation for the Winter Solstice. 5 classes beginning Dec 4, 2018 through January 31, 2018.